When we write our stories, we are inevitably compelled to write about turning points in our lives. Those "Aha!" moments lead to a new path, an expected journey, to becoming more whole. The job of the writer is to understand these "turning point" events in all their multi-faceted dimension ... and put them into context in the larger picture of a life, a destiny, a legacy. As I ponder Easter Sunday, it brings to mind a major turning point in my life ... becoming a single mother. My sons stood on the deck against a gray Easter Sunday sky. Alex crooked a hand in his pants' pocket, his hair slicked back from too much gel ... the inevitable result of getting ready for church. Daniel, wearing his father's navy blue necktie, had tried to knot a tie, no easy task without a dad to teach him. Between them, putting on a brave front for their daughter, stood Mother in crimson coat; Dad in a brown felt hat bought on the trip of a lifetime to Switzerland. As I held the camera, I saw my own world unfold through the lens of time. I wore a denim suit with huge padded shoulders, and black leather pumps ... and cherished a hope that somehow I could make that first Easter as a single mother all right. No longer the 21-year-old girl who thought only of herself and her own pleasures ... no longer the impetuous wife passionately in love with her husband. I had become a person who rose at 6 a.m. to place quarters, dimes and licorice-flavored jelly beans inside purple, yellow and green plastic eggs. 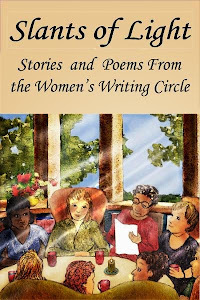 Tiptoeing so as not to wake her children, this woman hid the eggs behind the flower-covered sofa, under the pink velvet armchair, inside the piano bench, on a windowsill behind a gauzy white curtain. A tradition she had experienced as a child, the Easter egg hunt conjured magic, surprise, unexpected gifts and with it a mother's love to carry forth the joy of Easter, its renewal ... that even death cannot destroy. It leads us one step closer to learning who we are and who we are becoming. Sometimes turning points are stumbling blocks that lead to greater awareness. It leads to becoming a different person. It puts us in touch with our feelings. It helps us move beyond ourselves and reach out to others. What was a major turning point in your life? Can you craft a memory or scene from it? At what point did your life change course, affecting everything that would come after? Have you, or are you, writing about turning points and what have you learned? What a wonderful, well written story. Thanks for sharing your heart. 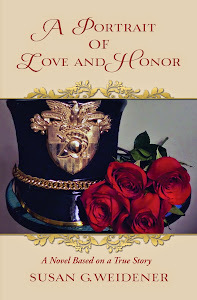 Susan, This is a beautiful , heartfelt story of a pivotal moment when life as you knew it had changed. You show not only the vulnerability but also the resilience of this young mother who has lost so much but decides to step beyond herself to be there for her children. I also feel the pain and concern of your parents and your two little boys who are trying to hold it together and relying on your strength. A powerful, multilayered story and a vivid example of turning points. Thank you! In some ways writing my memoir was easy because for reasons that are too long and convoluted to get in to here, my life was segmented for me. My childhood had 3 to 4 year breaking points where everything changed. Those breaking points were turning points in the rotation of life. Anyway, your boys are so handsome. I'm sure you're very proud of them. I named my son Daniel too. Great name. Thank you Wanda and Kathy. I am pleased that my story resonated, as did the prompt. I do remember that day "crystal clear," which is why it was a turning point. I think the photograph helped, too; recapturing the morning . . . those pivotal moments that day when I had a realization it was just the three of us now. My father would die about two months after that picture was taken and after his death, my mother slowly spiraled into despair and dementia. A turning point, indeed, that does not seem to fade from memory even with time. They were low-heeled pumps so no worries there about heels getting caught in the cracks of the deck. Thank you for the compliment about my sons . . . they are handsome on the inside, as well as the outside! Childhood breaking points that you mention . . . those are very deep and sensitive and it has made me think about writing one of my own childhood "Aha!" moments. Thank you. .....Circumstances are unseen, yet provide a link to recognizing a turning point. Temperament goes beyond recognition. Susan did not/could not dwell on circumstance...she had to act and reflect afterward. Indeed, what a heartfelt story. Thank you, Susan, for telling it in such a fine and powerful way. Thank you, Edda. It is true what you say. Life throws us curveballs . . . and sometimes it takes years to realize their import. Hmm, got me thinking. Trying to figure out if I've let traumatic events shape my recollections, life segments. If so, I've got a lot of reshaping to do before my memoir takes form. Such a poignant moment, Susan. You put the reader right with you behind that camera to experience all the uncertainty you were feeling at the time. 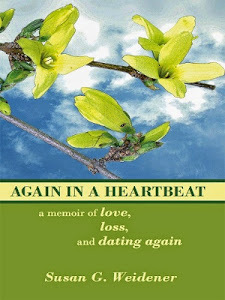 Linda Joy Myers speaks of finding ten compelling moments to write about in memoir. This is definitely a great example of one of those moments. Thank you, Patty. There was much trepidation about going it alone without their father, as well as the realization of all the responsibilites that being a single mother entailed . 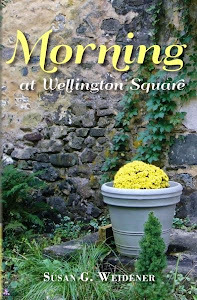 . . and that I had said goodbye to one life and entered another, which I write about in "Morning at Wellington Square." Absolutely right about Linda Joy. She will be instructing us in October (Oct. 19) and look forward to her teaching us more about the importance of writing turning point moments. A great story that says so much of who we become as mothers--and willingly so. And how for our children, we can and will always stand on blocks of stone and make sure there is room for them on it to have sure-footedness below them and next to them. Hi Susan and welcome to the Circle. It is true what you say . . . we try to do all we can as parents to protect our children and prolong their childhoods for as long as we can. It is their innocence that is most precious. This is such a wonderful example of how one memory, a specific moment in time can define us. You were young and unsure of yourself, yet you put your own childish needs and insecurities aside in order to be complete and available for your boys. You took a vivid holiday memory and showed your reader, a layer of you. Thanks for sharing this personal, pivotable moment. Thank you, Candice. It is interesting how certain memories remain so vivid ...probably as a result that part of our subconscious tells us that indeed this is important . . . maybe even a turning point. I look forward to hearing your writing at our Saturday read-around.